Boys blue and white batik leaf print cotton bow tie by Because I'm Me. 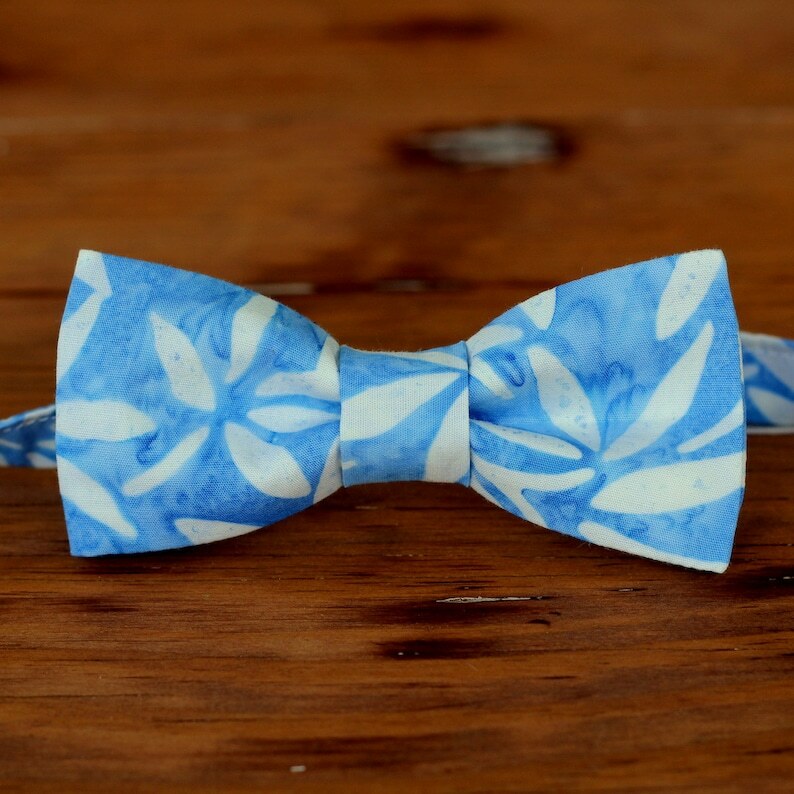 Blue White Batik Bow tie,- Handsome Leaf Print bowtie for Infant, Toddler, Child, Preteen. Four sizes are available: infant (0-3 years), toddler (2-6 years), child (4-8 years), and preteen (8-13 years). This tie is gorgeous. The infant tie has a velcro closure, allowing it to come undone easily if necessary. As always, adult supervision is required and Because I'm Me holds no liability. The neck strap measures approximately 10". Bow tie width is about 3.5".